Any family with a knack for adventure and fun should definitely check out things to do in San Francisco. This Californian city is famous for the Golden Gate Bridge, heterogeneous and cosmopolitan community and lifestyle — and countless tourist destinations! There are plenty of activities and places to see and enjoy within the city and its outskirts. Plan for a weekend (or if possible, a week off) to see and experience the sights, sounds, tastes, and sensations that San Francisco brings. Vacationing with the whole family won’t be complete without going to the zoo and the public aquarium. One of the most recommended family-friendly places is the Aquarium of the Bay, a public aquarium at the edge of Pier 39 which entertains and also educates the family about marine life. Marvel at the sights of more than 100 species of fish as well as different types of sharks, huge octopus, rays, and starfish. Children as well as adults will have their breaths taken away by these forms of marine life right in front of their own eyes. Want to see more marine life? Every summer whales pay a visit to the seas near San Francisco shores. Any adventurous family will want to go whale watching, and the best place is somewhere 30 miles off the coast of San Francisco, the Farallon Islands. This group of islands is protected by the US Fish and Wildlife Service and thus has recently been groomed as a sanctuary/eco-tourist spot. Families who love the sea and marine life will witness the beautiful blue waters and the migrating gray and humpback whales. Taking your whole family to the Napa Valley might sound off at first. When you hear “Napa Valley,” it doesn’t immediately conjure images of being a family-friendly place. You may think of it mostly for adults tasting and sipping wines, swinging clubs at golf courses, and being scantily dressed in massage rooms and spas. But the truth is, the Napa Valley also welcomes families just like any other tourist destination on the planet. So taking your whole family to the wine country is not a crazy idea at all. In fact, it has lots of adventure awaiting you and the kids. Napa Valley also has family-friendly camping destinations, and nature-tripping is not to be missed. The Bothe-Napa Valley State Park is highly recommended; you can hike, camp, picnic, and do swimming in the pool, fed by the springs. There are also yurts (tent lodgings) available throughout the year. Craving for some action? How about helicopter wine tours? Yes please! There are several operators in Napa who offer private and exclusive tours that can also be specially catered according to the guests’ preferences. Most of the helicopter tour operators also have itineraries so no need to feel lost! Be picked up at the airport and ride one of their fleet of helicopters, which will then guide you to various residences, resorts, and wineries. You’ll all be feeling like an action star or a surveyor doing a high-risk job. But the ultimate family adventure is flying on a hot air balloon! There is nothing like it: up in the sky and looking over the gorgeous landscape, with neat, manicured rows of grapevines, rolling hills and valleys that greet the warmth and the light of the rising sun. If your kids are as adventurous as you are, then you may have no problem convincing them to go on a hot air balloon ride! They will feel like a centuries-old explorer surveying the vast expanse of land from up in the air. Unlike a helicopter, a hot air balloon doesn’t produce any distracting noises since it just floats in the air. You can expect quietness and peacefulness. A feeling of serenity and a relaxed mood will take away the stress from all the touring on the ground, even if only for a while. And this is something you’d definitely look forward too! Balloons Above the Valley (BATV) offers hot air balloon and wine tours for families! Enjoy a fresh and hot breakfast before the whole family sets off to an exciting airborne adventure. And after that wonderful hot air balloon sunrise flight, enjoy a post-flight brunch where adults enjoy sparkling wine and kids enjoy juices. Children who are 6 and over and who measure at least 48 inches are allowed in the hot air balloon basket as one of the flying party. You don’t have to worry because BATV’s pilots are experienced and will make your flight safe and enjoyable. Balloons Above the Valley’s 40 years in the business is a hallmark that it puts safety and satisfaction of the guests as the top priority. There are lots of things to do in San Francisco that will cater to every adventure- and fun-seeking family. 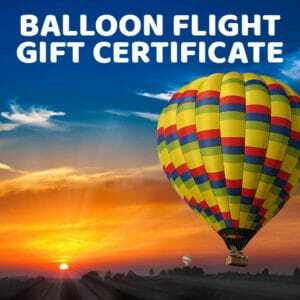 Include flying on a hot air balloon as part of your list for a more worthwhile family getaway!